Your Best DNA is what’s best about you, that other’s value. Think about where you’d like to be more fulfilled in your life. Would you like more job satisfaction? A greater sense of meaning for life in general? A feeling that what you do matters … to you and to others? Whatever your reasons, “living into your Best DNA”, creates more vitality, and often more success. The two helixes of your DNA are your Passionate Strengths and your Core Self (Core Purpose and Principles). Our Best DNA will usually be different at work than at home. When you know your Best DNA you can focus on making important contributions in the areas where others see alignment between their need and your gifts. Passionate Strengths is the first strand of your Best DNA. 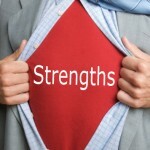 Passionate strengths are what we do well that we are enjoyably motivated to do. There is ample evidence that we can dramatically improve our performance, and the performance of those who work for and with us, when we focus on improving strengths. Core Self is the second strand of the Best DNA. You are as unique as fingerprint. You have your own mixture of Core Purpose and Principles. These generally stay similar throughout our lives. Core Purpose is what you feel you exist to do. It is a single phrase that defines what gives your life meaning. 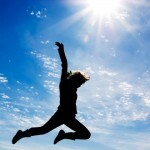 You are far more energized when you do activities that help you carry out your Core Purpose. Core Principles are the behaviors that guide how you live your life. When you live in alignment with your Core Principles you feel more authentic and more comfortable with your choices. Understanding these allows you to change many other things and still be true to yourself. Once we discover them, they rarely change. Although people may have epiphanies later and change them. 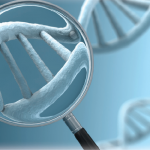 We discover the “best” of your DNA by seeing it through the lens of the Value-Add factor. 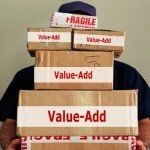 The Value-add is how you best add value to projects, people, teams, systems and so on. These are your contributions that people find valuable, admirable, and maybe even praiseworthy. This is what makes the most difference to others. Insightful polls done by Gallup and described by Marcus Buckingham in “Go Put Your Strengths to Work: 6 Power Steps to Achieve Outstanding Performance”. There is a tremendous amount of research done by practitioners in Positive Psychology, such as Barbara Fredrickson and Heaphy Losada’s research described in “Positive Affect and the Complex Dynamics of Human Flourishing” in the American Psychologist. The aspirational work of David Cooperrider and others in developing Appreciative Inquiry.  The Best DNA assessment was a great concept and set of thought exercises that helped me better understand how my strengths, core purpose and values came together to describe what it is that I’m truly meant to do in my personal life and my career. I’d recommend it to anyone that’s trying to figure out what makes them tick and what they should look for in a career choice.